Moultrie has partnered with outdoor legend Bill Dance in promoting Moultrie’s line of FeedCaster fish feeders. The Bill Dance Signature Series will consist of three automatic fish feeders to fit every fish management need and budget. “I’m really happy to become associated with Moultrie brand fish feeders. These folks have been making quality feeders for a mighty long time, and to put it in a few simple words, I’m highly impressed with every feature of ‘em!” Dance said of the partnership. Moultrie is proud to have the support of such a highly-respected fishing expert. Dance knows from experience that proper fish management is an integral part of growing larger, healthier fish. High-quality, reliable fish feeders are essential in preventing disease caused by over- and under-feeding. 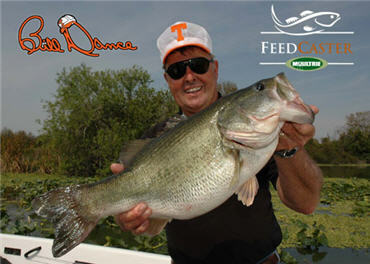 Find out more information on Bill Dance Signature Series FeedCaster fish feeders. I grew up watching Bill Dance every Saturday morning.